DID YOU KNOW - "2" ? 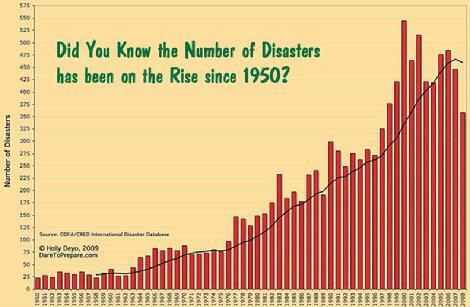 Natural Disasters graph: 1950 - 2008 ? 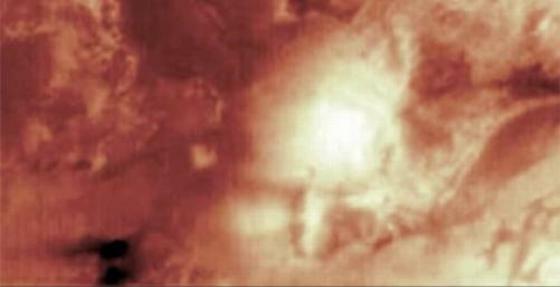 "2nd & 3rd Faces on Mars"
Plume Emitting Stack on the Moon? Did You Know What's Causing All Those "booming" noises all around the world? The United States & "The World"? Click Here → "U.S. / World POPULATION"
Did You Know You Could Eat Like A King in 1909? Did You Know The "2 Cows" definition of Political Systems? 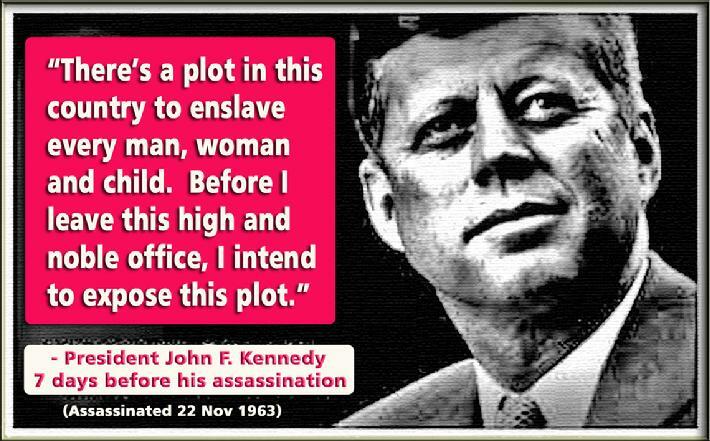 Did You Know JFK was a "Conspiracy Theorist"? Apollo "8" apparently discovered more than that back in 1968. While I was researching my book I constantly came across these former psychic superstars. For a time there’d be a flurry of activity around them, lots of press, letters, and public appearances to either demonstrate their talent or expose them as a fraud. Eventually someone would write the Parapsychology Lab and ask if they were looking into this person. I researched a few of these individuals and wrote about what I found, but there were many more that I passed by. One of them was little Jackie Merkle. This letter to the lab about Jackie, however, is interesting because of the source—the New Yorker magazine—and because of what the writer says. I’m reproducing the letter here so you can see what I mean. The thing I don’t understand is, the boy disappears completely a couple of years after this letter. What happened to him? Even if he was a fraud, he’s clearly a very good one and people a lot less skilled were able to make a living from their comparatively meager skills for a lifetime. Why not Jackie? And what did he ultimately do with his life? My searches so far (admittedly brief) haven’t turned up anything except for a few more articles from the 30’s marveling at his abilities. It’s so sad about Jackie losing his mother at such a young age. I do wonder about him. And his father. 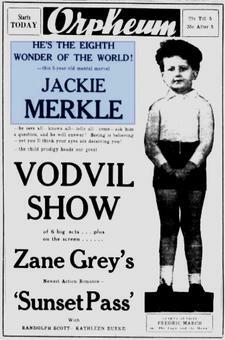 Since I began reading magazine and newspaper accounts of your experiments in telepathy and clairvoyance, I have wondered whether anyone ever tipped you off to an 8-year-old boy named Jackie Merkle, and whether you have ever put him through a conclusive test. The boy baffled me and others who have tried to divine how he works. Of course, none of us testers was very well versed in the phenomena which seemed to be involved, but we gave him what seemed to us foolproof tests. I will relate them briefly and you can judge for yourself. We tried the simple test of putting him in an adjoining room, writing words and sentences (or geometrical figures) on a piece of paper and asking him what had been written. He answered these easily. Next, without any writing, one of us would think of a name, or a word, or a combination of words and ask him to tell what it was we were thinking of. This took him a little longer but he got the answers. We worked this both in the same room with him, and by having the tester go to another room, fully out of sight of the boy. In this test, some of the testers would think of long medical words. The boy would stumble over pronouncing them, but he never missed. Next, we sat him at one end of a long room. At the other end was a shelf of books. One of us would pick a book at random, open it at random and ask the boy to tell what was on the printed page. He was very slow and stumbling about this but accurate in his reading to a syllable. The bookshelf was unfamiliar to him and unfamiliar to us. None of us knew where any book would fall open. During much of this test, the boy was looking at a funny paper. He has a passion for comic strips and sometimes it is difficult to get him away from them long enough to perform. Next, one of us, whose background he couldn’t have known, asked Jackie questions about his (the questioner’s) history. The boy told him how and where his mother died (in Dublin, of cancer), what her name was, where the tester’s father had been born, what his name was, and a number of other things of the same nature. A woman in the groups said: “I am thinking of the name of a dog I once owned. What is it?” The boy instantly gave it and it was some complicated name like Sir Ronald of Twyffort Fields. Jackie is the son of a pair of acrobats. His mother was killed in a fall and his father, now a retired acrobat, lives off the child’s vaudeville performances, scooting along the thin ice of child labor laws as best he may. Jackie doesn’t perform much around New York because of strict enforcement but spends most of his time ranging around the country, mostly in the gaslight circuit, astounding the natives, as he astounded us here. One of his father’s favorite publicity stunts is to take Jackie into a local newspaper office where the boy stops reporters, stenographers, printers, et al, and tells them very intimate things about themselves, such as how many children they have and their names, their past occupations and their current ambitions. His talent is frankly being commercialized and I think he give a lot of phoney answers just to please the theatre customers. Many ask: “Who stole my diamond ring?” and he usually answers: “A domestic.” In this sort of thing, I believe he is a plain fake, but I simply cannot doubt his telepathic abilities. If you are interested in this boy, I will be able to get in touch with him. May I request that if you decide to test him the New Yorker get whatever story there may be in it? When I started writing this book the over-riding idea was: this is going to be fun. The real Ghostbusters! Haunted houses! And it was a blast. But when I went down to Duke University and started going through the 700-plus boxes that comprise the lab archives I realized, good God, these scientists were serious. There were thousands and thousands of meticulously conducted, recorded and evaluated experiments (millions in the end). They were not kidding around. I focused on the lab scientists’ correspondence because that was where the real battle for parapsychology—and there was a tremendous battle—was played out. Who knew scientists could be this venomous? Every time the lab published their results there was an outcry and a flurry of letters from other scientists around the country who were not happy with their findings. For every letter from an offended scientist however, there were thousands more from people all over the world who had experienced something strange that demanded an explanation. A certain percentage of them can, in fact, be explained away by fraud, delusion or wishful thinking, but not all. I tracked some of these people down. For instance, I found one of the children at the center of a spectacular poltergeist case from the 1950’s. I was sure the now-grown kids would confess that they had thrown the objects themselves. Since I started out as a skeptic this was the only thing I could conceive of them saying. This isn’t what she said. Neither child believes that ghosts or poltergeists were responsible, but the objects did go flying, nevertheless, so something must have moved them. No one on the scene investigating what happened thought the kids were playing a prank—not the detective assigned to this case, or the reporters who wrote about it, or the lab scientists sent up from Duke. Objects fly, the dead make appearances, (something makes an appearance or is perceived) and people sometimes know things that they have no way of knowing through the five senses. These strange things happened and still do.